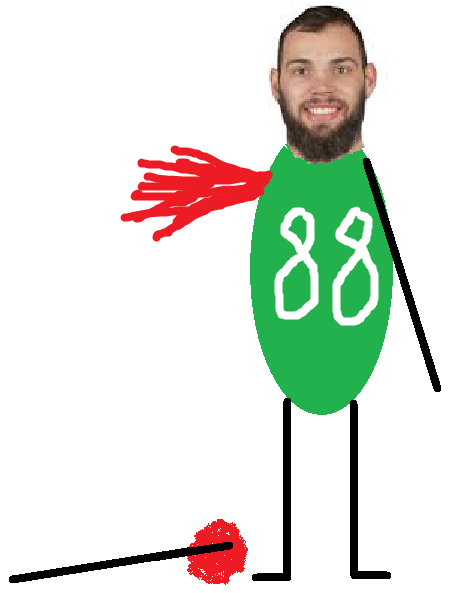 Dallas Goedert, showed in happier times when he still had both arms. We are nearing the end of Philadelphia Eagles training camp (or at least the portion we media types are allowed to watch, anyway), as we've reached Day 13. Only two days to go. As always, we have notes. 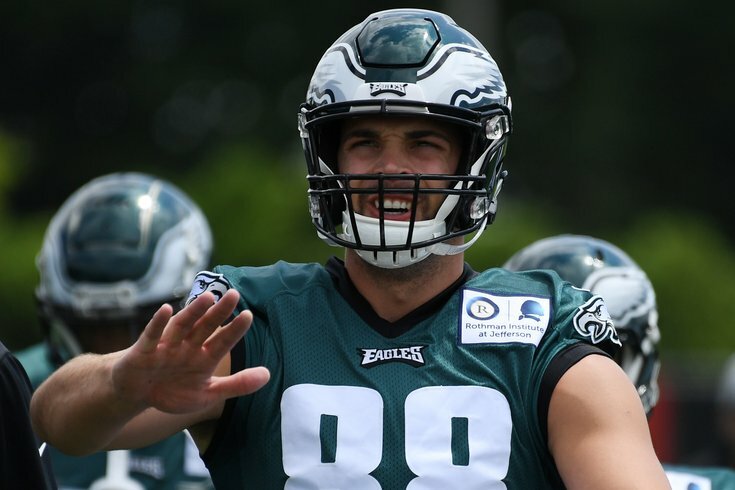 • In Saturday's practice at Lincoln Financial Field, Dallas Goedert left early with an apparent arm injury. Practice never stopped with Goedert laying on the field and trainers attending to him, or something like that. He simply got a little dinged up and went to the locker room for further evaluation. Hours after the conclusion of practice, Twitter blew up with fans reporting that Goedert had an air cast on his arm, and it went so far as people a giving a timeline of 6-8 weeks for his recovery. I don't think I could ever cover another team, because I would miss this nonsense too much. Anyway, as it turned out, Goedert just bruised his elbow, and he'll be fine. He expects to miss a few days, but he classified it as a "minor" injury. Making a quick decision that Goedert's career was over, wide receiver coach Gunter Brewer picked up Goedert's arm and began using it during receiving drills, using it like a defensive back's arm trying to break up passes. 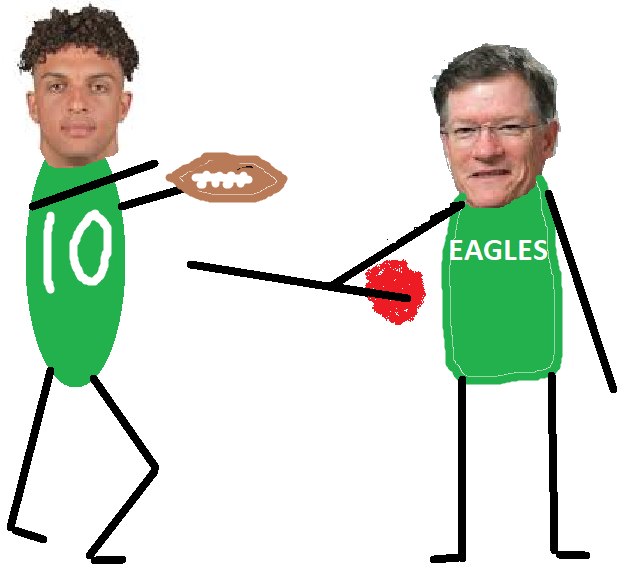 With Goedert's career over, it was smart of the Eagles to at least make good use of his severed arm. • Jalen Mills has had a really good camp, and he had a good day today, particularly in 1-on-1 red zone drills. He had pass breakups working against Kamar Aiken (on a slant) and Bryce Treggs (on an out), a day after he had blanket coverage on Zach Ertz in the red zone. There was also a play in which Treggs tried to beat Mills on a fade. Treggs brought the pass in, but Mills used the back of the end zone as an extra defender nicely, as Treggs landed out of bounds. Treggs tried to lobby to anyone within earshot to call it a touchdown, but Mills replied, "Nah, that s*** was out." That s*** was indeed out. • Rookie fourth round pick Avonte Maddox is getting more and more reps as the nickel in the slot with the first team defense, and looks as though he has jumped ahead of De'Vante Bausby in the pecking order. Maddox's highlight of the day came when he had great coverage on a fade to 6'3 receiver Anthony Mahoungou. Mahoungou got both hands on the ball, but Maddox got his hand in between Mahoungou's hands and his chest, and was able to jar the ball loose when both players hit the ground. That earned an atta boy from Corey Undlin. Jim Schwartz praised Maddox after practice, saying that he is trending up. • Mike Wallace has turned it up of late. As we mentioned yesterday, Wallace had a big play on a deep post past Mills to open practice. Today, he skied over Mills on a "bang eight" route to make a catch for roughly a 20-yard gain. He is clearly going to be an upgrade over Torrey Smith. • Nigel "can't catch" Bradham had a pick today, though it was on a deflection. If he had caught some of the interceptions he dropped last season, he might have been in the Pro Bowl. Catching the football when he has his opportunities will be the difference between him being a very good player and a great one. • In 1-on-1 blocking drills, Jordan Mailata had a nice day. You can see his improvement, which is obvious. Mailata is still light years away from playing in a real game, but with his size and athleticism, you can see why the Eagles took a flier on him. • Isaac Seumalo did not participate in 1-on-1 OL-DL drills today. He was once again "snap boy" for the offense during 7-on-7's, which occur simultaneously. For those of you who are unfamiliar, "snap boy" is the low center on the totem pole who draws that responsibility, which Seumalo is getting for the time being because his shotgun snapping has been horrendous and he needs added work. For the first time in a long time, I did not see any bad snaps from Seumalo today. • Rookie undrafted safety Jeremy Reaves is physical, but he can't cover. Richard Rodgers ran a pretty unconvincing double move today that absolutely toasted Reaves. Rodgers got wide open down the field, but the quarterback overthrew him. I would suggest that the Eagles attempt to bulk Reaves up and try him at linebacker, but at 5'11, 190, that's not going to happen. • After his big play against the Steelers in the first preseason game, Shelton Gibson is beginning to pull away from his receiver competition and is looking like a lock to make the roster. He had several nice plays today, most notably when he shook off a hold by Rasul Douglas in the red zone and got open for a touchdown reception anyway. He also toasted Bausby deep, but Nate Sudfeld overthrew him. • After a night in which Cameron Johnston hit an 81-yard bomb, he went back to his erratic punting today. I still don't believe his roster spot is secure. • The stuff I wrote about Goedert losing his arm above isn't really true. I lied. He still has both arms. Sorry.